This coming weekend my husband and I are competing in a cook-off competition. It's Christmas themed and we have to make an appetizer, an entrée and a dessert. The trick is that it all has to be done outdoors on a Traeger wood pellet grill! If you're a regular reader you'll have guessed that appetizer and entrée have fallen to Chris to prepare while the dessert is my time to shine. 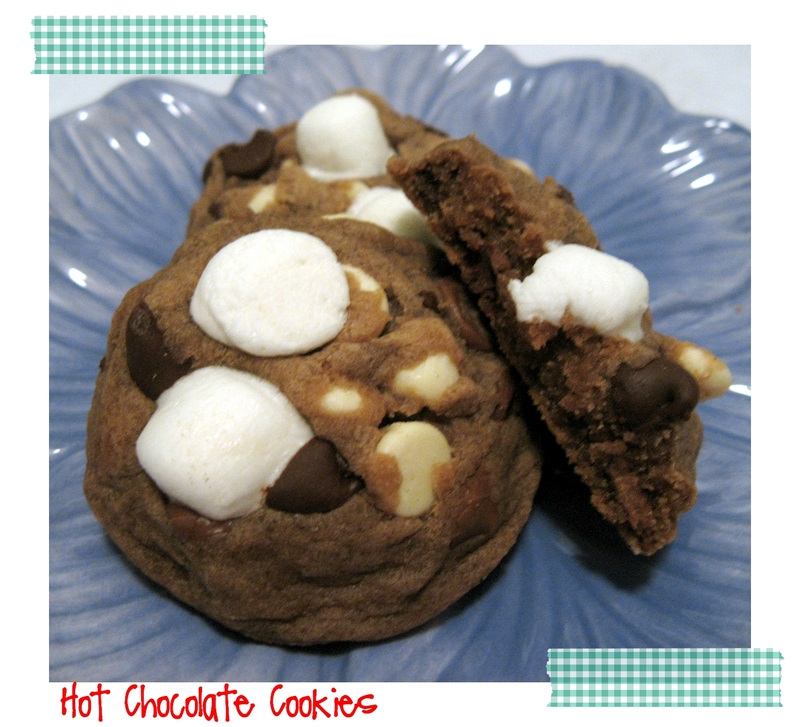 I decided pretty quickly that I wanted to make cookies since that's my Christmas tradition and I thought these Hot Chocolate Cookies were just right for the holidays. Last weekend I made up a test batch to see how the recipe would work on the grill and I was so pleased with the results! Cream butter and sugars until smooth. Beat in eggs and vanilla until combined. In a separate bowl, combine flour, hot chocolate mix, salt and baking soda. Add to wet ingredients in 3 to 4 parts, making sure all is incorporated. Fold in chips. Chill the dough for an hour or so. Heat oven to 350 degrees F. Spoon dough onto baking sheets lined with parchment paper. Bake for 9-11 minutes or until edges are golden brown. Let cool for 5 minutes before removing from pan. These cookies are delicious! You might think 3 cups of chocolate chips is overkill but you would be wrong - yes they are chocolate heavy but they still manage to be not too sweet. To make mine look ever more hot chocolatey I added mini marshmallows a minute or two before the cookies were finished baking. This gives the marshmallows time to puff up a bit but not time to melt. So what do you think? Do they look award winning?